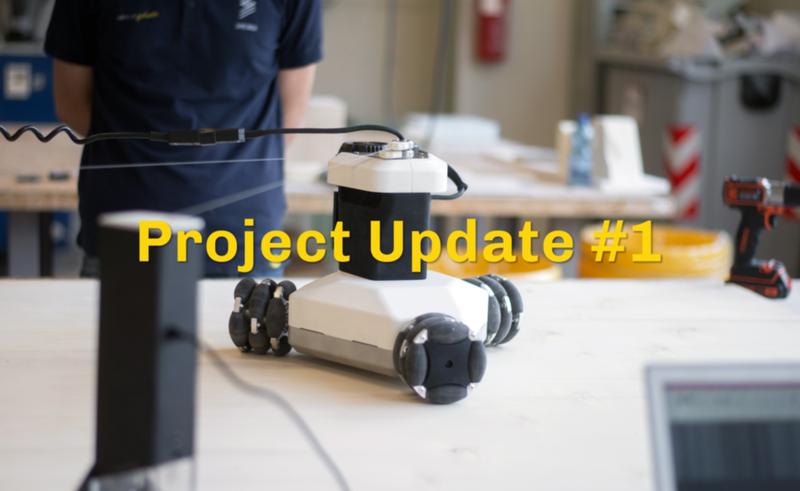 Today we want to start a new section on our blog, dedicated to Goliath CNC project development updates after the success of the Kickstarter campaign. We are monthly updating our backers through the Kickstarter platform, and we want to share also here the most important decisions and progresses made. • Goliath CNC components: we ran a few stress test, precious for the refinement and further definition of some parts of the robot. The actual challenges are improving the geometry of the wheels to improve manufacturability and design a stronger Z-axis. • Sensors: our R&D heroes are testing an improvement on the wires of Goliath CNC’s sensors, with the aim to lower the incremental error we have today. • Dust collector: we started the journey to make reality the “stretch goal” reached during the Kickstarter campaign! We received a few days ago some motor samples from our suppliers to build the first prototypes of the dust collector and test how it works. The great result of the Kickstarter campaign took in close contact with two important players interested in collaborating to Goliath CNC project. We had many meetings/calls again in the last weeks, facing these majors it’s a great opportunity and we are convinced that this relationship will bring a great value to our product. Unfortunately, due to the number of people we are, the time we spend negotiating is time stolen for the product development, on the other hand, these relations are helping us in defining better some technical features of Goliath CNC, which are a great help in bringing to you a better product. Beyond the opportunities, we understood that the speed of processes and decisions it is very different between a startup and a large company… Anyway, we are determined to follow our development plan, obviously maintaining eyes wide open on the potential helps to come from the outside! We run among the backers a survey to understand their habits and how and where they will use Goliath CNC. We discovered that most of you are going to use desktop and tablet devices: we were already not oriented in developing a mobile app due to usability matters, and this feedback confirmed our vision. Then, we asked about which operating system runs on the mentioned devices: the results are quite heterogeneous, for this reason, we decided to develop a web application to serve as an interaction between you and Goliath CNC. The web application is a cross-platform solution, which will allow you to use multiple devices with different operative systems. In the future, we would like to develop also a client-based version to make Goliath CNC work also without internet connection. We are looking for two talented people, an Embedded Software Engineer, and a Full Stack Developer to join us for the firmware and software development. Check out the open positions on our job platform. This entry was posted in Goliath development. Bookmark the permalink.